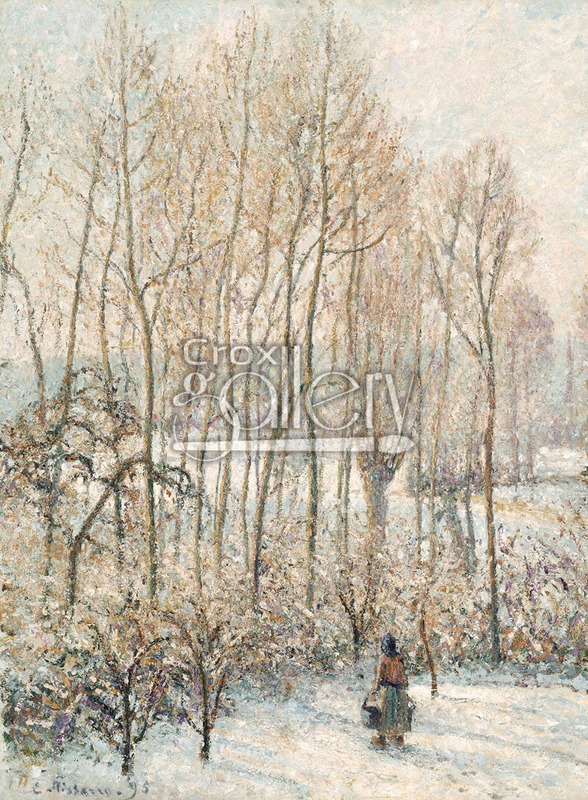 "Morning Sunlight on the Snow" by Camille Pissarro, painting replica. 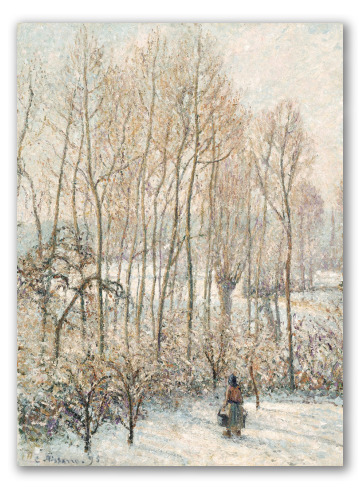 Camille Pissarro painted "Morning Sunlight on the Snow" in 1895. This work depicts a winter landscape en the French village of Eragny. The inspiration of this town, with its tranquil rural surroundings, is seen in a large portion of Pissarro's work, and offered the painter a wide variety of country landscapes and distinctive lighting in each season of the year. This painting is currently displayed in the Museum of Fine Arts, Boston, United States. Original size: 82,3 x 61,6 cm.